What you see here is a long line of cars waiting for their photoshoots. 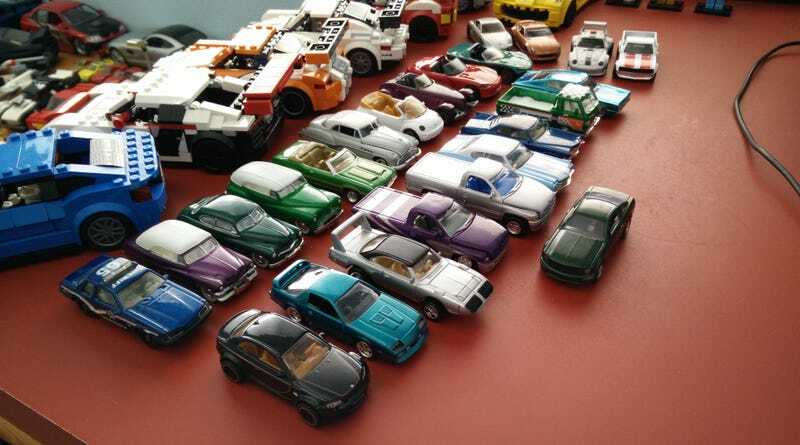 Lots of cars have arrived at my home recently, from both HWEPs and HAWLs. To all of those who have sent out packages to me, I have received all of them! Thanks go to shop-teacher, sowles, GT-RGuy, Plasticprints, and vdubyajohn for the cars shown above. I’d also like to thank all the others who’ve already had their HWEPs featured by me last week. It’s been a great first experience for me and definitely something I want to continue going into the future. Speaking of which, I’m really excited for Car Week! It was fun for me the first time around and I’m eager to participate for a second time. I have a very special car planned for tomorrow. I’ve kept it a secret thus far and it’s something you probably won’t expect from me. Look out for it sometime tomorrow!